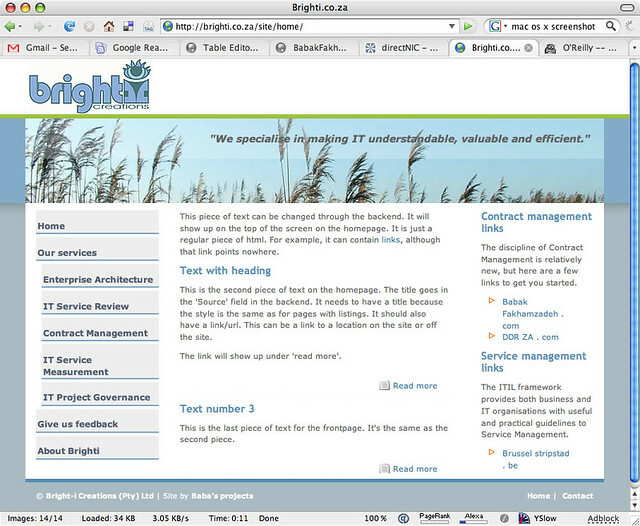 The design is a modification of a design available through Open Web Design. 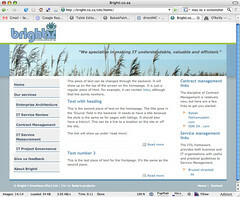 The backend runs on BPportal, which is the same backend on which sites like Varibel.nl and DDRZA.com run. However, the lovely lady whom I made this for has been so busy these past weeks, she hasn’t found time to actually put in content. So, for now, the website is still hidden from view to mere mortals.